UNHCR provides, on a limited basis, scholarships for refugees at the tertiary level in universities and polytechnic institutions through the Albert Einstein German Academic Refugee Initiative Fund (DAFI). The Federal Government of Germany provides funding for this program. The purpose of the DAFI Program is to contribute to the self-reliance of refugees by providing them with a professional qualification for future employment. UNHCR would prefer that the graduates return home and contribute to the reconstruction of their countries of origin, to the development of the country of asylum or the refugee community as a whole. Through this program, young refugees are motivated and enabled to stay in school and complete their post-secondary education. Scholarships are granted only for studies in the country of asylum, to students from developing countries or countries in transition. The DAFI Scholarships cater for registration and tuition fees. In some cases, a subsistence and annual allowance is also provided. The Hegg Hoffet Fund assists graduate and tertiary women students who have faced displacement due to political upheaval, war or other emergencies in their home countries. The displaced women are given short-term grants for refresher courses that will help them re-enter their fields of specialization. If re-entry is not possible, the women are trained in other courses that will help them gain employment. Language and integration training is also provided to assist the recipients to settle into their new countries. GWI (Graduate Women International) and local groups also help with the resettling process by giving the graduate refugees moral support. Windle Trust International has been UNCHR’s implementing partner for the DAFI Scholarships since 2005. Through this program, refugees gain the opportunity to acquire an undergraduate qualification in a Sudanese university. The program currently supports around 60 to 100 refugees, with 10% being female. This project targets refugees who would otherwise not be in a position to fulfill their academic potential due to financial hardship, political unrest, and social disadvantage. Recipients get to choose from a wide range of development-related subjects, including engineering, agriculture, health, computing, management and rural and community development. The Commonwealth Scholarship and Fellowship Plan (CSFP) is one of the most prestigious scholarship programs for international study in the world. This scholarship program was established in 1959, and since then, around 34,000 individuals have benefitted. Masters scholars receive 12 months support to assist them to complete a full-time postgraduate qualification at any eligible UK university. This support only applies to those pursuing one-year Masters programs. PhD scholars receive support towards completing a full-time doctoral degree. Awards are applicable only at UK universities or higher education institutions where the Commonwealth Scholarship Commission (CSC) has a part funding agreement for study and research. Monash University in Australia has a reputation for high-quality teaching and excellent facilities. Part of the funds for the Asylum Seekers Scholarship come from donations made to the Monash Achieving Potential Scholarship Fund. Scholarships are awarded based on need and academic achievement. Recipients are entitled to a tuition fee payment for the duration of the degree, coming to around $3000 for a full-time study load (48 credit points). This amount is paid yearly until completion of the degree. The Welcome Scholarships were established in recognition of the hardships faced by people seeking asylum. Asylum seekers, on arrival in Australia, experience significant displacement, and encounter financial barriers when trying to access education. These scholarships aim to increase self-esteem, support study aspirations and provide an immediate social and community network to the asylum seeker. Recipients of this scholarship receive a full tuition fee waiver. The University of Canberra provides scholarships to refugees with the aim of giving them a chance to focus on their studies. Recipients must be committed to advancing their education and fulfilling their career ambitions. To qualify, one must be registered as a refugee student in a full-time undergraduate degree at the university. Evidence of financial need is also a requirement. A cash grant of $2500 is given for the first year of the degree. CARA focuses on assisting academics who are forced into exile or are in immediate danger but choose to remain in their home countries. This organization also supports higher education institutions whose continuing work is at risk or compromised. Academics who are not able to return to their home countries in the short term are helped to settle and rebuild their lives in the UK. These exiled academics are given fellowships to cover basic needs, bench fees and all related costs (childcare, stationery, laptops, etc.) as they pursue re-qualification in the UK. When the situation in the home country improves, these academics are encouraged to return and take up positions in higher education. That way, they can share the knowledge, skills, and experience that they have gained during their time in the UK. The Student Refugee Program (SRP) is a very small resettlement program that gives opportunities for refugees to continue their post-secondary studies in Canada. This program is managed by the World University Service of Canada (WUSC), a Canadian international development agency. Volunteers arrange financial aid for one year of study for the sponsored students within the WUSC. This funding is given ‘in kind’, i.e. as a tuition fee reduction and accommodation fees. Some money to buy basics necessities may also be included. WUSC is currently accepting applications from Kenya, Malawi, Lebanon, and Jordan. Macquarie University recognizes that students with a refugee background have particular financial and support needs that differ from those of other students. Every year, two scholarships are offered to students who have a refugee background and demonstrate financial hardship. 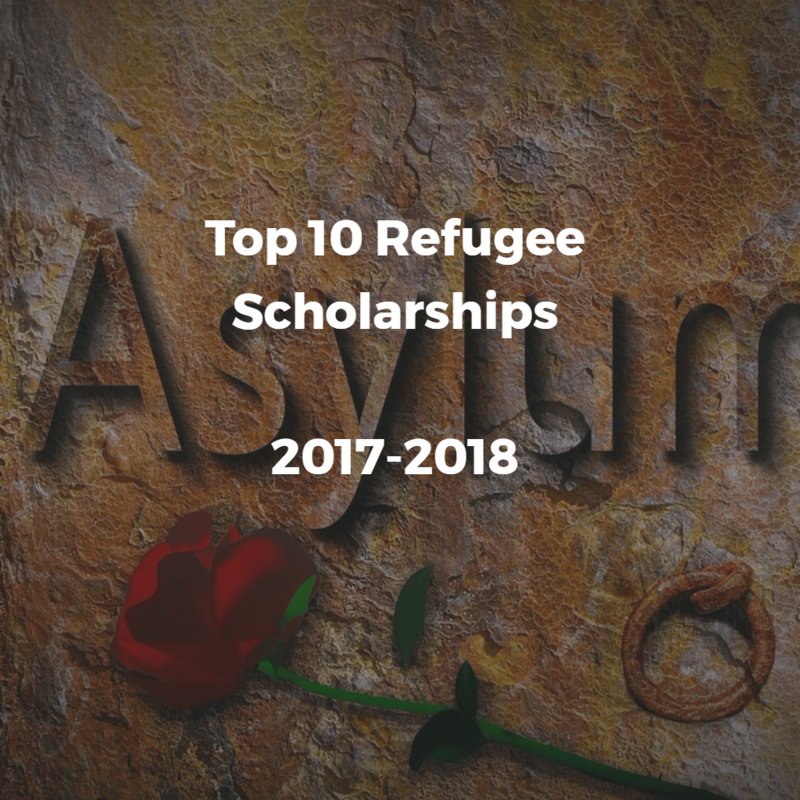 These scholarships complement the University’s Refugee Monitoring Program, which aims to raise aspirations towards tertiary education among refugee children. The scholarship award amount starts at $5198 per year, given for up to four years.